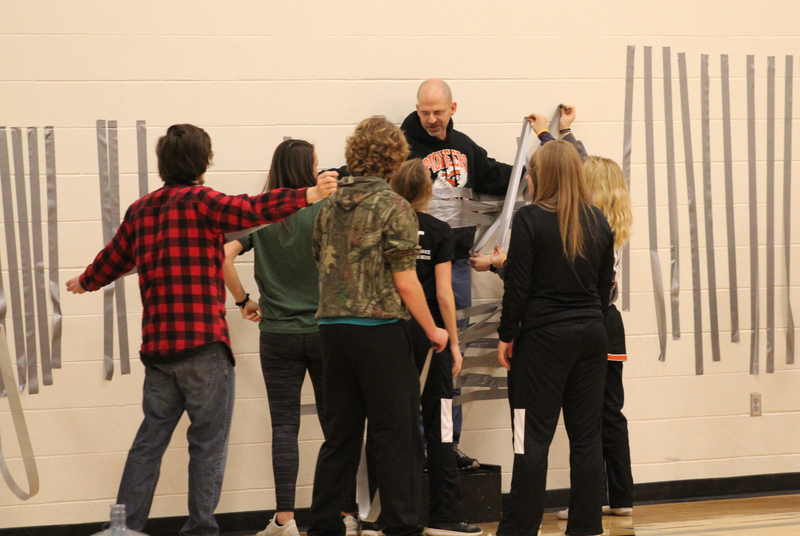 Fort Calhoun Students Lizzie Namuth, Ashlyn Dippel, Kloey Appel, and Anna Polesky raised money for Habitat for Humanity by giving students the chance to vote on which teachers were taped to the wall. Mr. Jones was the top vote-getter with Mr. Hatcher in second. Students also had the opportunity to pay a dollar for a piece of tape. Lizzie said “One of the funniest parts was watching Mrs. Wellman High Horse and Mr. Hatcher have a competition to see who would get taped. I also enjoyed seeing a lot of the junior high kids getting involved and donating a lot of money. I thought it was a fun and competitive way to help raise money for a good cause.” In all, $254.85 was raised. This entry was posted in Uncategorized on December 23, 2017 by Jennifer Gepson. Please consider coming out to support the TeamMates program on Sunday!!!! 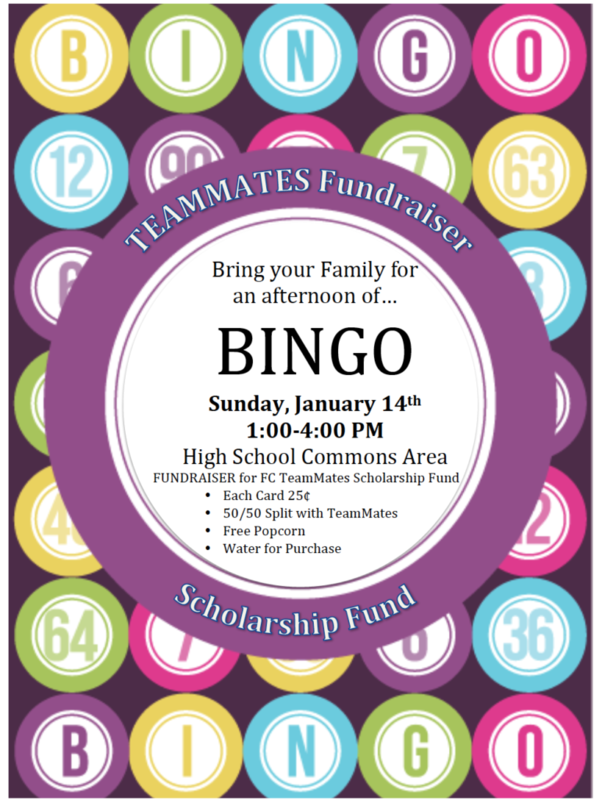 This Sunday, January 14th from 1-4pm TeamMates is hosting it’s Annual Bingo Fundraiser in the HS commons area! This event is fun for the entire family and will help to build the scholarship fund for our chapter!!! This entry was posted in Uncategorized on December 22, 2017 by Jennifer Gepson. 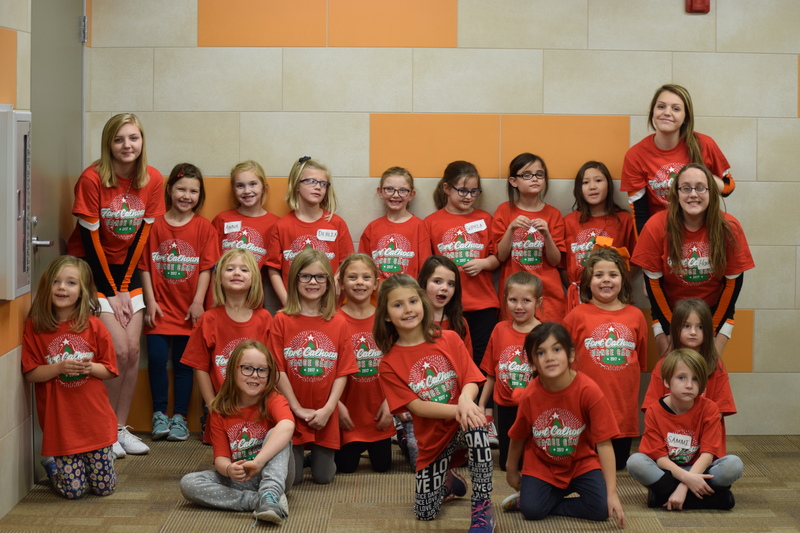 Students at Fort Calhoun Elementary had a ton of fun at Dance Camp on Friday, December 15th. 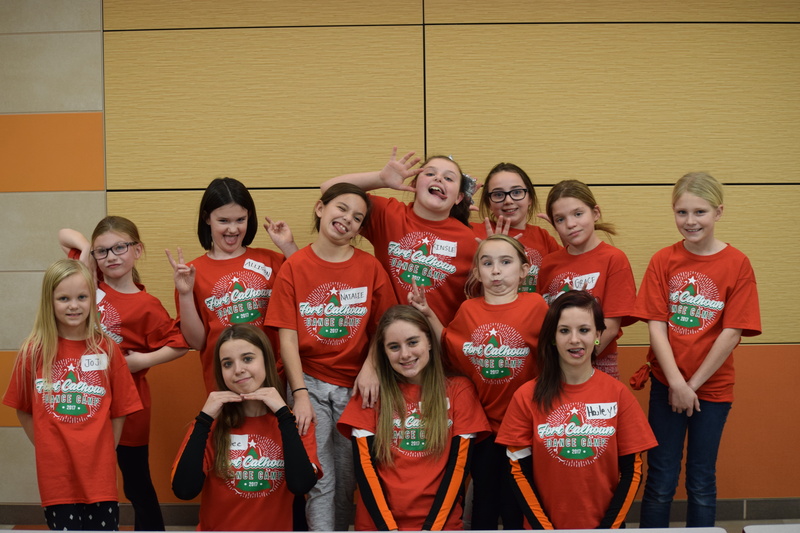 Forty girls attended this event organized by the High School Dance Team. This year, they had a Holiday theme and danced at halftime of the Girls’ Varsity Game against Wahoo. 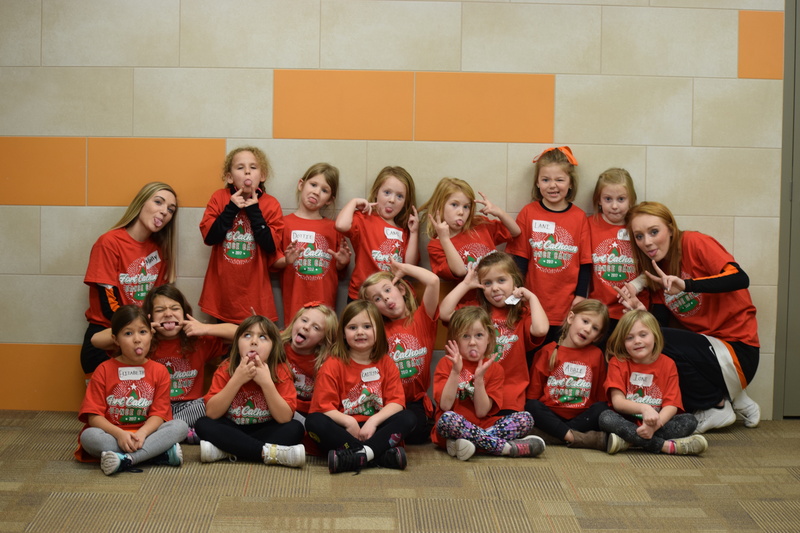 Kindergartener Lani said, “it was pretty fun and exciting but it wore me out.” Anna and Jordin agreed that their favorite part was the performance where they danced to songs like Jingle Bell Rock. This entry was posted in Uncategorized on December 17, 2017 by Jennifer Gepson. One of our freshman homeroom classes has been writing to and visiting a group of Seniors at Autumn Pointe. The students and seniors share stories of family activities, sports and hobbies and life experiences. The ‘pen pals’ write to each other monthly and we visit the retirement home during their homeroom once per month. This entry was posted in Uncategorized on December 15, 2017 by Jennifer Gepson.